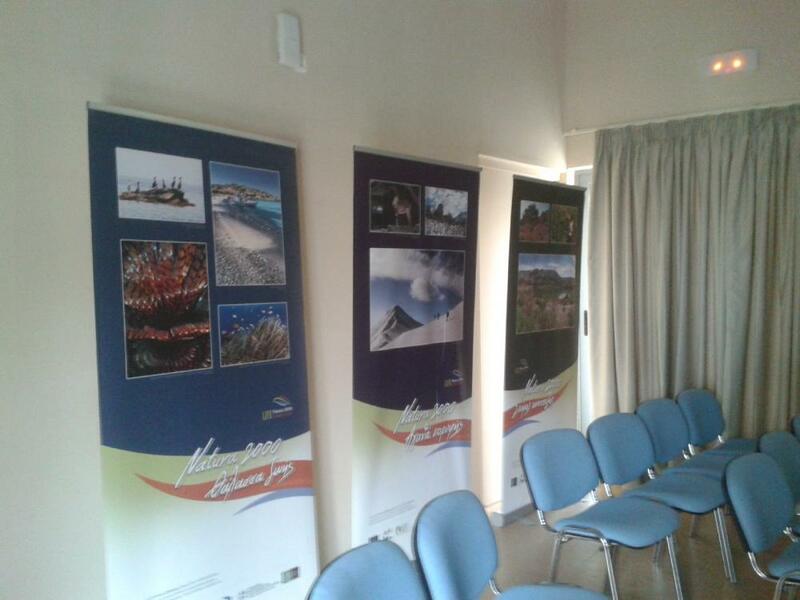 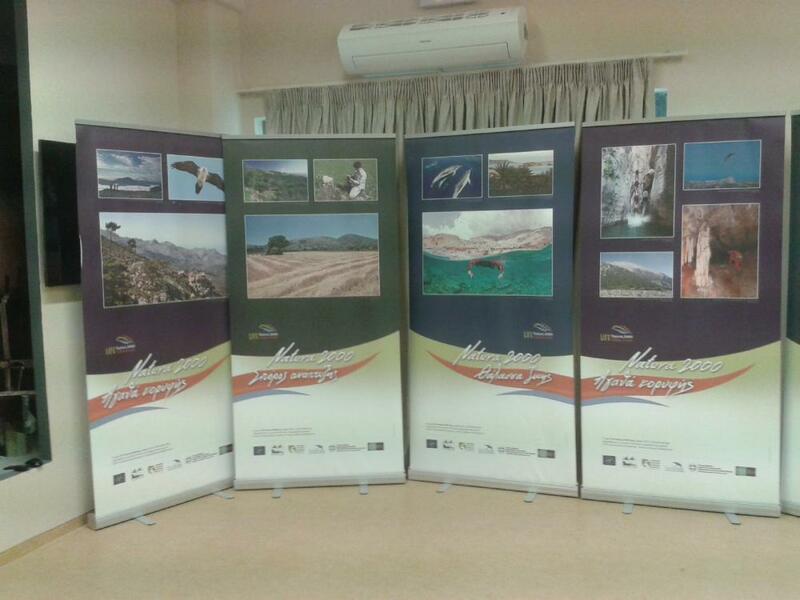 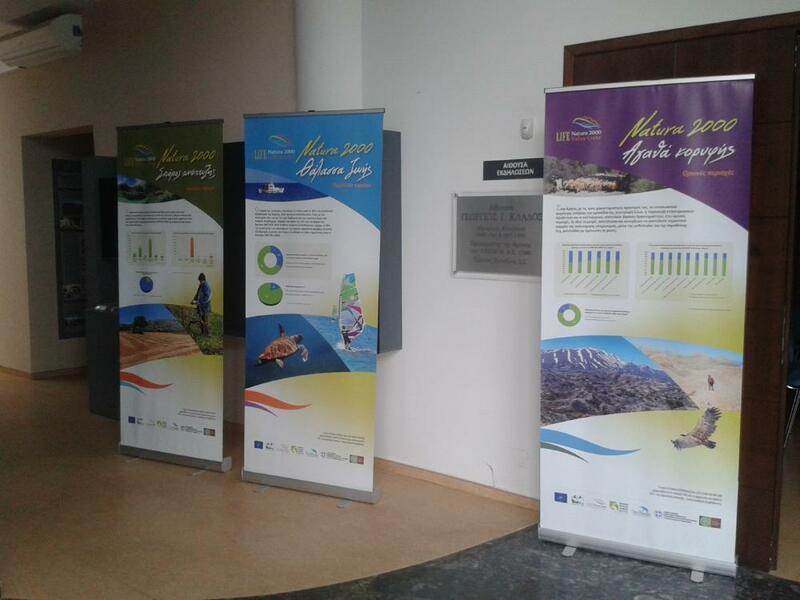 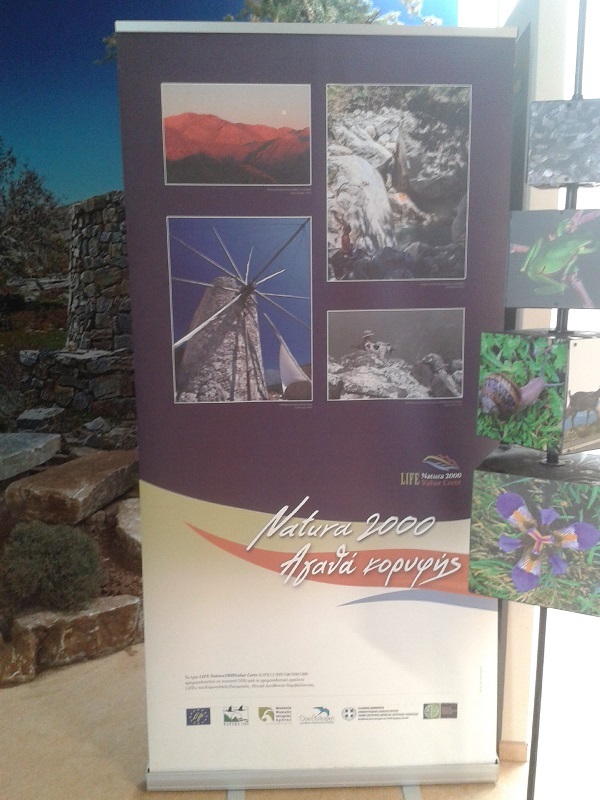 The photo exhibition consists of material from NATURA 2000 sites of Crete. 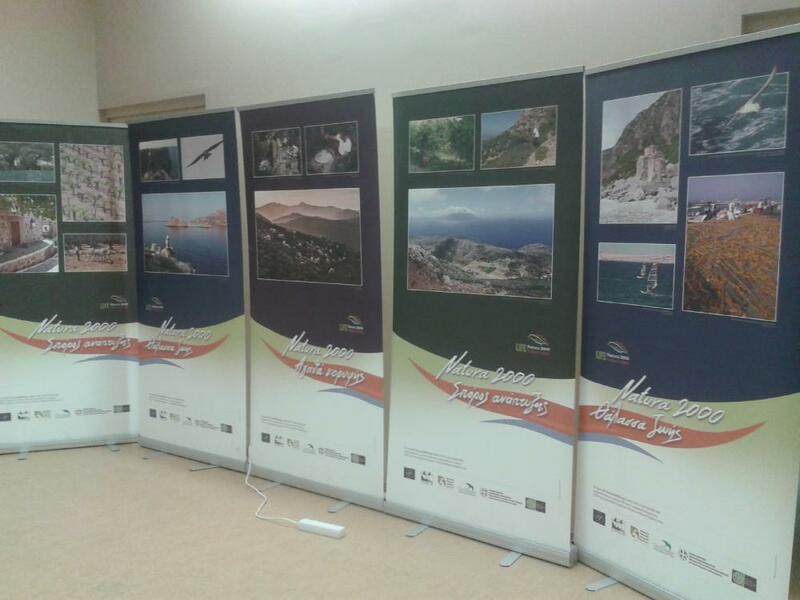 It is divided into 3 thematic sections: mountain, coastal and agricultural ecosystems. 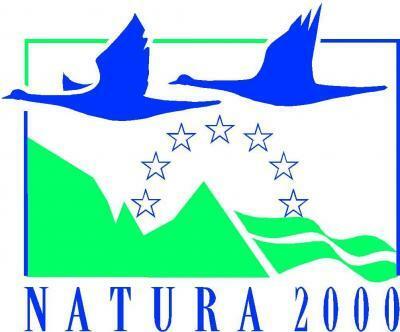 The exhibition designates activities that take part in nature, sustainable practices of tourism, agricultural development aiming at the conservation of biodiversity and natural resources, as well as new job positions. 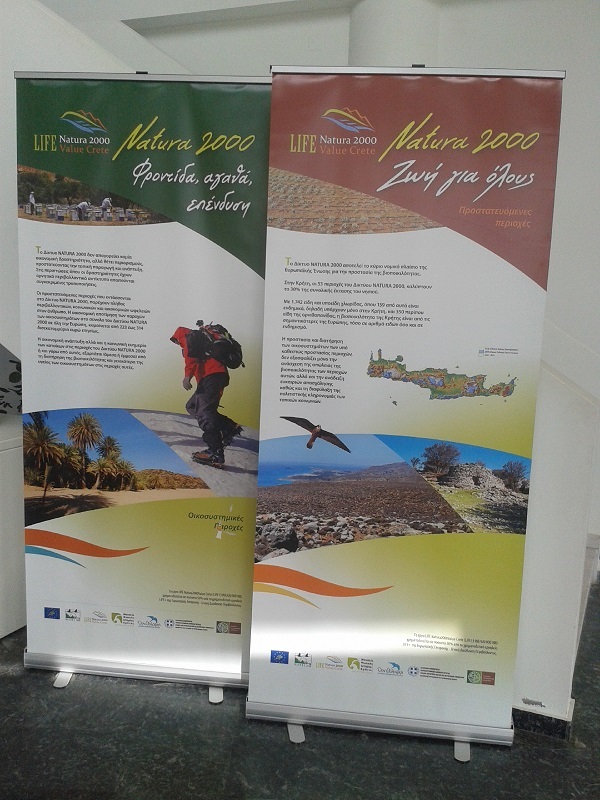 The aforementioned action is being implemented by NHMC, within the context of the project "LIFE Natura2000 Value Crete" ("The ecological services, social benefits and economic value of the Ecosystem Services in Natura 2000 sites in Crete" - LIFE13 INF/GR/000188 - funded by Ministry of Environment and Energy). 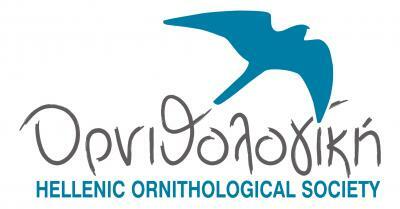 Cooperators of NHMC are the Decentralized Administration of Crete - Directorate of Coordination and Supervision of Forests and the Hellenic Ornithological Society (HOS).